The Xclusive Weeks featured destination this week is a variety of Florida resorts that are perfect for a family vacation. Keep reading for a summary of this sunny vacation spot, as well as instructions on how to get access to last minute travel deals through Xclusive Weeks. Known as the crown jewel of Southeast Florida, Naples is always popular with those who seek world-class golf, high-end shopping and five-star dining. 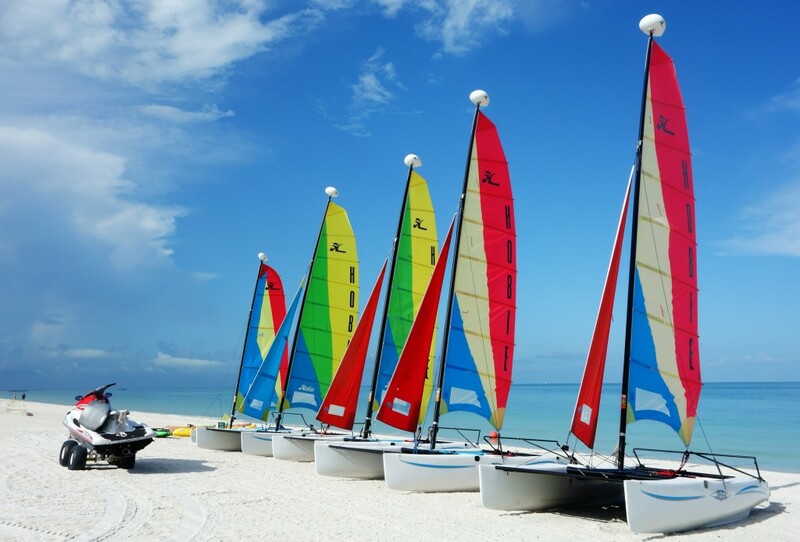 Its gorgeous Gulf Coast setting makes it an ideal beach destination for the winter months. Naples is decidedly upscale, but doesn’t lack in family-friendly activities. Attractions like the educational zoo, expansive botanical gardens, manatee tours and the pristine beach parks and preserves will keep kids of all ages as well as adults entertained. Port St. Lucie lies on the Atlantic side of Florida, and offers all the quintessential activities that make this state great: world class sport fishing, canoeing, kayaking and stand up paddle boarding, diving, and surfing. There’s tons to do on land as well, for those who don’t want to set foot on the water. Catch a baseball game and see the St. Lucie Mets, or wander the stunning natural exhibits at the Port St. Lucie Botanical Gardens, or the Heathcote Botanical Gardens in nearby Fort Pierce. There’s also no shortage of golf, hiking, or horseback riding in the relaxing tropical heat. For the nature lover, St. Lucie County has more than 20,000 acres of nature preserves, 21 miles of pristine beaches, and the Indian River Lagoon, the nation’s most biologically diverse estuary. You don’t have to travel the world to visit one of the world’s nicest beaches, as Marco Island is located near Naples in sunny Florida. It’s the largest and only developed land in Florida’s Ten Thousand Islands, and it’s a Gulf Coast retreat that’s just as great a getaway for those seeking upscale shopping as for those seeking a jaunt into the unspoiled Everglades. Collier Seminole State Park, just a few miles from Marco Island, has canoeing, fishing, boating, picnic grounds, and a mile-long nature walk. Narrated boat tours of the park run on a daily basis if you’re interested. The Briggs Nature Center features a half-mile boardwalk where Marco Island visitors can observe wildlife in its natural habitat, and there’s also shelling excursions and self-guided canoe trips. Those looking for further adventure can hop on an airboat tour into the vast Everglades and view alligators, birds and fish as they have lived for thousands of years. Do you want to visit Florida or one of the many other Xclusive Weeks amazing vacation destinations? Simply call RTX at 888-988-4RTX today and talk to a representative who will give you accommodation options. Want to find out more about Xclusive Weeks? Click here!